The Leo Strauss archive in the Special Collection Research Center of the University of Chicago library holds an estimated 25,000 pages of unpublished material, including correspondence, manuscripts and typescripts of lectures, papers, and notes. A summary guide to the collection can be consulted online. An extensive record of Strauss's teaching exists in the audio recordings of many of his classes, transcripts made from the tapes, notes compiled by students of his classes, and in some cases Strauss’s own class notes. Partial or complete sets of tapes for 44 courses have survived. All of the extant audio recordings and many of the transcripts are now available on the Center’s website. At the conclusion of this project the transcripts of all 44 courses will be made available through this website. Transcripts published in print will be made available two years after the publication date. Nathan Tarcov, Karl J. Weintraub Professor of Social Thought and Political Science and in the College at the University of Chicago serves as the Leo Strauss Center’s director. Gayle McKeen is the Associate Director and Managing Editor. McKeen received her Ph.D.from the Department of Political Science at the University of Chicago and is emeritus professor of Politics at the University of the South, Sewanee. The efforts to preserve and prepare for publication the unpublished Strauss audiofiles and transcripts began in 1998 under the supervision of Professor Joseph Cropsey, then serving as the literary executor of Leo Strauss. Transcripts were word processed and surviving audio files were digitally remastered by Craig Harding of September Media, with support from the John M. Olin Center for Inquiry into the Thepry and Practice of Democracy at the University and a grant from the National Endowment for the Humanities. 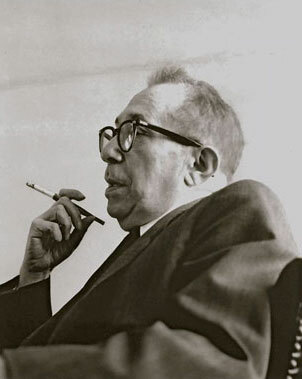 The Leo Strauss Center, established in 2008, then administered by Stephen Gregory, launched a project to correct the original transcripts based upon the remastered audio files, transcribe audio files not previously transcribed, and annotate and edit for readability all the transcripts. This project is supported by grants from the Winiarski Family Foundation, and contributions from numerous individual donors. The Strauss Center also wishes to acknowledge the assistance of Nina Botting Herbst and Patrick McCusker, development staff in the Office of the Dean of the Division of the Social Sciences at UChicago. Publication of digitally-remastered audio files made from the original audiotapes on the Center's Web site. This project was completed in 2011. Scholarly editing of the course transcripts (based on the digitally remastered audio files when possible). Since autumn 2014, 18 transcripts have been added to the website in PDF format and to our digital collection. Publication of a series of transcripts in print with the University of Chicago Press. The first volume, Strauss on Nietzsche’s Thus Spoke Zarathustra, will appear in bookstores in October 2017. Within two years of their print publication, transcripts of volumes published in print will be added to our website. The Center has hosted international scholars researching selected themes in Strauss’s thought. These visitors’ fellowships have been made possible with generous support from the Earhart Foundation (2014-15) and Richard J. Schiffrin (2016-17). Strauss as Teacher: interviews with former Strauss students who have shared their recollections of Strauss as a teacher have been conducted and transcribed. Both audio recordings and transcripts of the interviews will be added to our website in 2017. A conference, “Strauss as Teacher” was held at the University of Chicago in 2011. See http://leostrausscenter.uchicago.edu/news/2011/07/video-‘leo-strauss-teacher’-conference. The Leo Strauss Center actively seeks funding for the completion of its projects and to fund an endowment to perpetuate the website. All of the audio and text files published on this website are © 2017 Estate of Leo Strauss.